The kitchen fitting team from Forest Trades are at hand to help with fitting new doors to your existing kitchen units through to crafting and fitting a brand new bespoke dream kitchen. 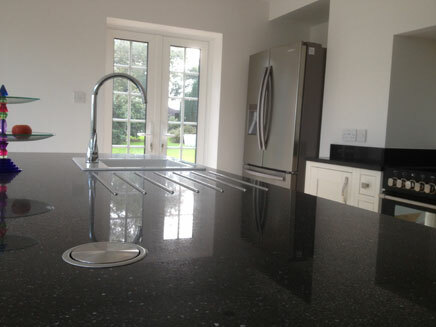 Along with our experienced kitchen fitters, Forest Trades can also inlclude experienced tradesmen for plastering, tiling, electrical, plumbing and flooring work. Our complete team provides project continuity to ensure that you experience the least amount of inconvenience and get you back in the kitchen as soon as possible! The portfolio of our work demonstrates a tailormade kitchen crafted to exacting standards. This project also included plastering, tiling, electrical, plumbing work and laying marble flooring.